Entering into a hospice plan can be an overwhelming and difficult time. Our caring and dedicated staff is ready to help you and your loved one develop a hospice plan that meets your overall goals. Being in the comfort of your own home can make all the difference. Many people prefer to stay in a familiar area while they transition through hospice services. Mountain Hospice helps patients remain in the comfort and familiar surroundings of their own home while still receiving top-level care and support from a dedicated and compassionate healthcare team. You do not have to leave your home, your doctor, or even your pharmacy to partake in our services. We allow you to make all the decisions surrounding your care and are here for you when you need us most. You are not alone. Our team is standing by to help you find the comfort and support you and your family need. For more information on how our services can help you, be sure to give us a call. 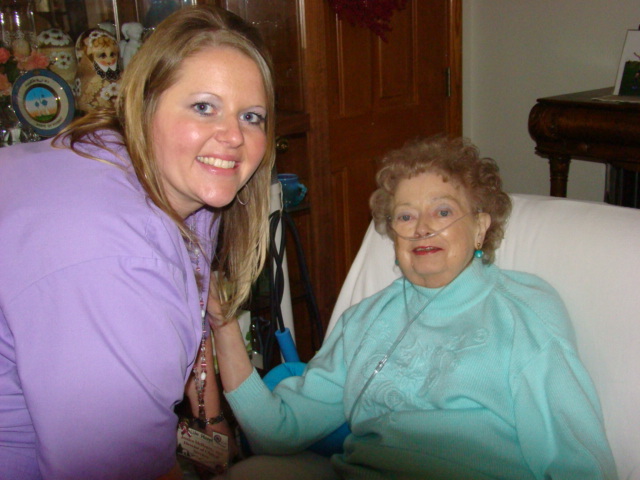 Mountain Hospice In-Home Care Team is available to assist caregivers in a variety of ways. We can help you set up a safe environment for your loved one, and give advice and support on the best ways to care for them. We can assist with daily tasks such as meal planning and cooking, light housekeeping, running errands, bathing and grooming, and more. Our exceptional healthcare team can treat and care for your loved one, while offering ongoing support and advice on how caregivers can help find relief and comfort when needed. We believe that every individual has a right to transition through the final phase of life with dignity, in addition to as much happiness and joy as possible. Our pain management team is available to offer advice and support when needed, and help eliminate the pain and discomfort associated with your illness. Feel free to call us to talk about all the specific services and programs we offer. If you do not see what you are looking for, we will help you in any way we can. We strive to go above and beyond for each and every patient. Call our toll free line at 1 (888) 763-7789 for more information. Use Giving Assistant to save money and support Mountain Hospice Inc.